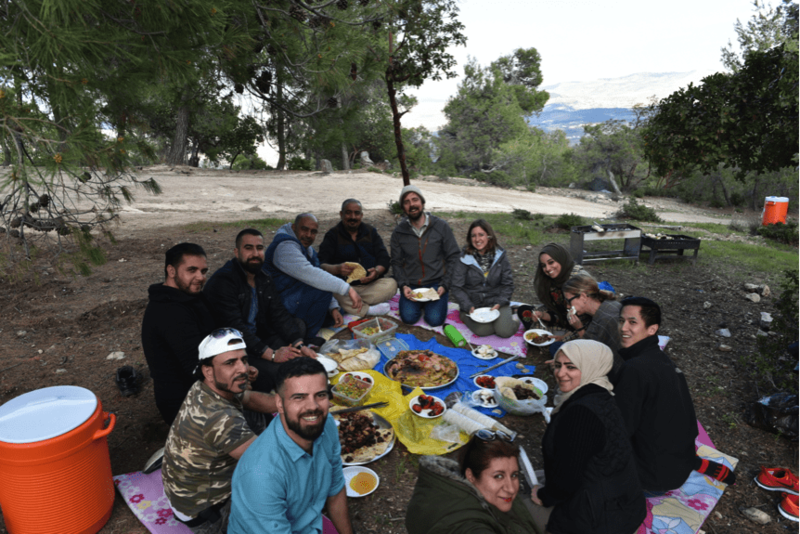 CRP organized a staff outing to Jerash and Ajloun, for both our foreign and community staff. After a long and harsh winter, and in preparation for the spring (when we’ll fundraise, implement new programs, and assess many families on our waitlist), this time off is valuable for everyone to clear their minds and experience an environment that’s different from the demanding work of CRP. 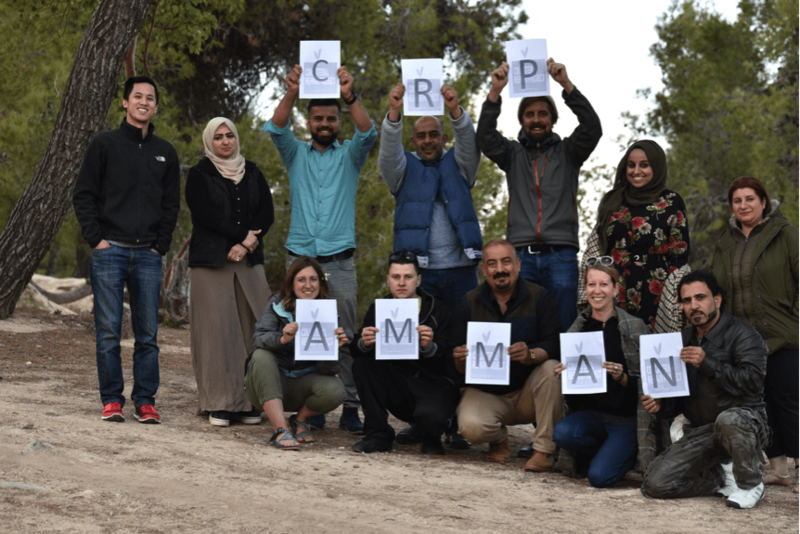 As refugees living in Amman, CRP’s community staff rarely have any opportunity to leave the city, or even the urban neighborhood of Hashemi Shamali. 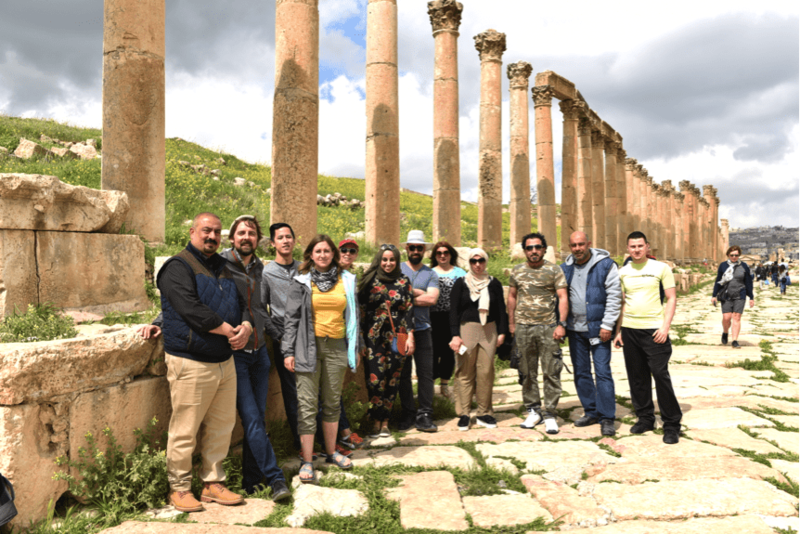 Visiting the city of Jerash, a historical blend between the Greco-Roman world and the ancient traditions of the Arab world, and walking through the valleys of Ajloun, was an enriching experience, and one they will never forget. “It was really important for them to get this change of scenery, from the tensed area of Hashemi Shamali to the mountains of Ajloun. . . . They had the time to actually get to know the people they work with in a more informal setting, and it became hilarious during our crossed-language designed activities,” Zayneb, CRP’s Deputy Director, says. The activities included miming celebrities, charades, singing, and sharing traditional quotes from each members’ culture or country. CRP can become a very stressful environment, with few prospects for socializing. Rarely do the staff have any time of enjoying moments like these. For Adnan, it was the first time leaving the city of Amman since he fled Iraq. 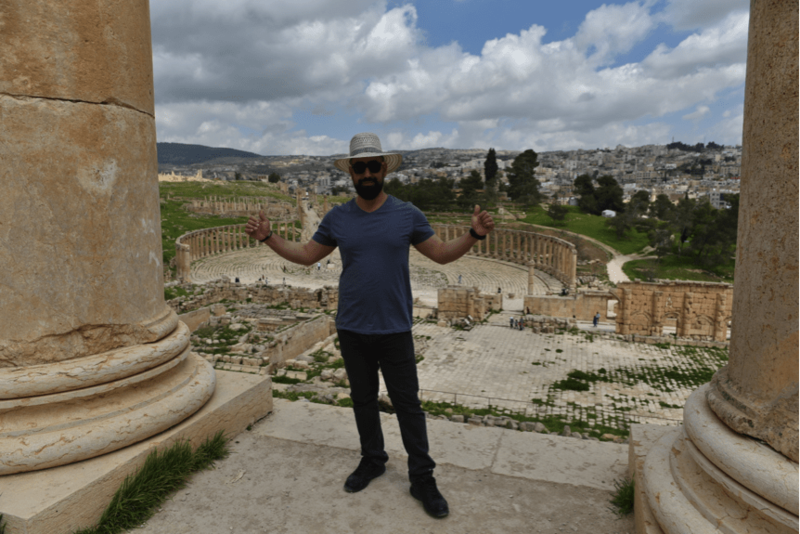 “Everything was beautiful; we had a BBQ in the mountains of Ajloun and we visited the beautiful Romanan ruins of Jerash,” he says. While riding together in the bus on the way up, Adnan was surprised to see so many trees in Jordan, noting that it reminded him of Kurdistan. Next articlePopSockets Partners with CRP!